We changed our minds and decided to change the design while we were building the boat from the original, drawn plan. Instead of putting our remaining straw straight through the centre of the boat as one long rod of support, we decided to cut them into smaller pieces, similar to the what we did with the first straw. We positioned them so that they were going from the right side to the left side of the boat rather than from the front to back. 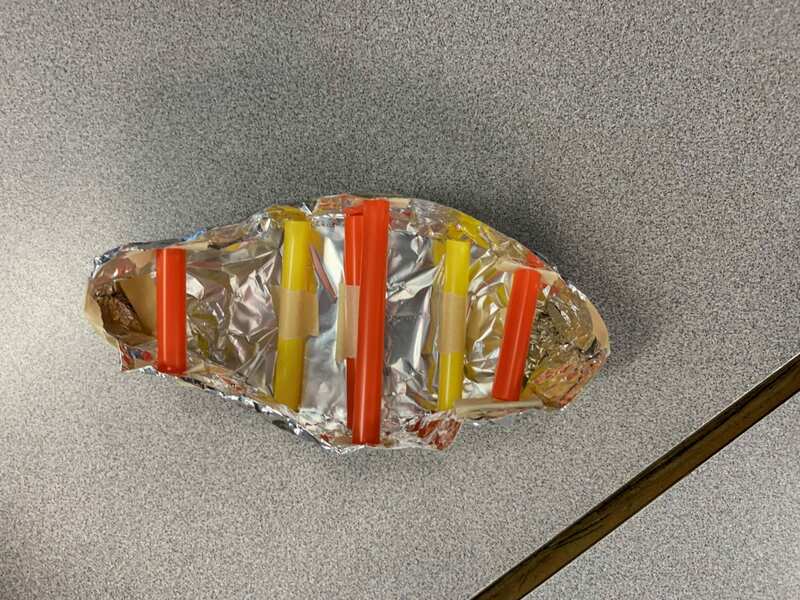 We decided to change the design because as we were building it we realized how weak the tops of the sides were with just the foil. We were concerned it would cave in on itself and sink much faster. We thought that reinforcing the sides at the top as we did at the bottom was more important than having the rod across. Before we started the design, we all shared our ideas with each other so everyone had input and we could come out with the best result possible, having considered all the options. 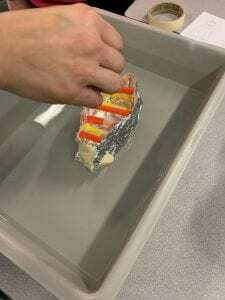 Because my group partners, Maria and Matthew, had already done this experiment, they shared what they did for their group and how they thought they could improve theirs. For example, they both said that squared bottoms didn’t work as well. 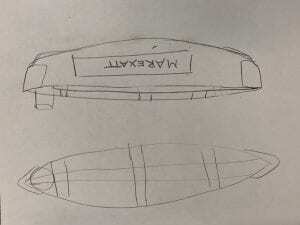 I wanted to model the bottom of the boat the same way that you would see an actual ship because they are engineered to stay floating with lots of weight and pressure. 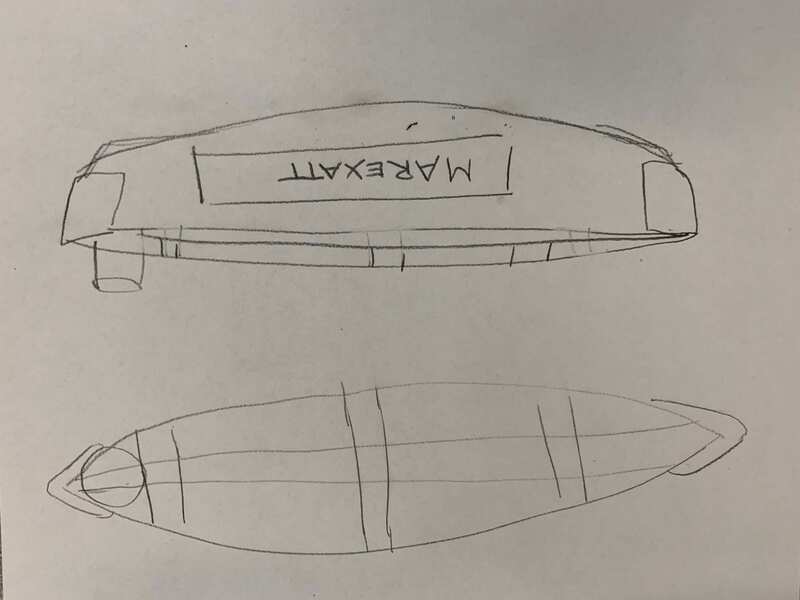 We ended up combining our ideas and came up with the design for our boat based on all of the information from the collaboration.